A gentle spotlight on a critical social issue makes this easy for the audience to engage throughout. Lovely comic relief and sensational twist ending. Loved it and will watch again! Amazing film! 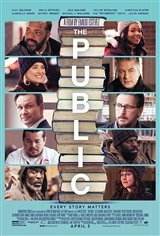 Set in a public library, THE PUBLIC tackles challenging issues of homelessness, addiction, mental illness, fake news, and the militarization of law enforcement. This 12-year project was filmed in just 22 days at the Cincinnati Public Library. With a very small budget, Estevez is relying on word-of-mouth to get people through the doors, and this is definitely one to watch. 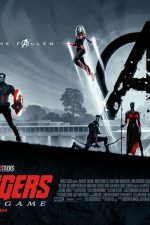 I was fortunate enough to catch it at a promotional premiere in January, but it's a film that I intend to see again now that it's playing in a city within a couple of hours from where I live. Expect hard-truths, laughter, tears, and a story that explores the role libraries and librarians currently play in our society. The funny, serious, and heart-warming story that portrayed a truthful picture of the important role that libraries and librarians play on our democratic society.